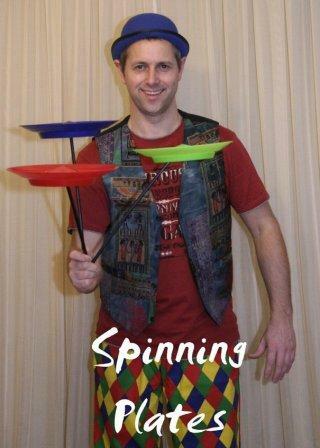 Marko has been teaching circus skill since 2005 and it's great fun! He runs the workshops in Schools, with Scouts & Girl Guides Groups, at Garden Fetes, Parties and various other events. Learning to jugle is a brilliant way for pupils to improve their co-ordination and concentration. All pupils are challenged by juggling, as there is no limit to it's progression and it is a great way of teaching pupils how learning new skills is a simple matter of practice and building up, in stages. Fun for all ages, a great cordination and balance challenge. As well as getting the plate spinning, you can jump the plate, balance it on your finger (or nose) & pass it to a partner. Brilliant for years 3 to teenager... The excitement of throwing a diablo high into the air is irresistible. A great way to develop balance and confidence. The old classic, where adults can enjoy being kids again and kids can enjoy being the height of adults.